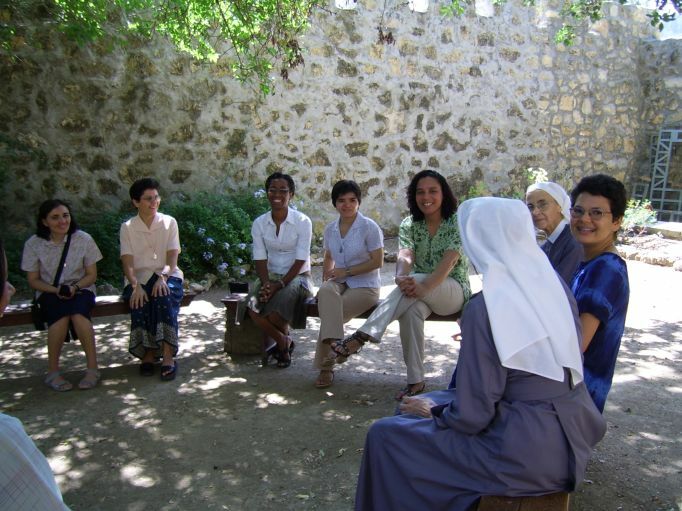 In 1971, a community of contemplative sisters came to join the apostolic community that had been founded in Ein Karem by Alphonse Ratisbonne (Father Marie) in 1860. For 41 years now, we have been living together in a beautiful complementarity, supporting one another, some sisters expressing in a visible way what the others are living in a more hidden manner. This was already something new. 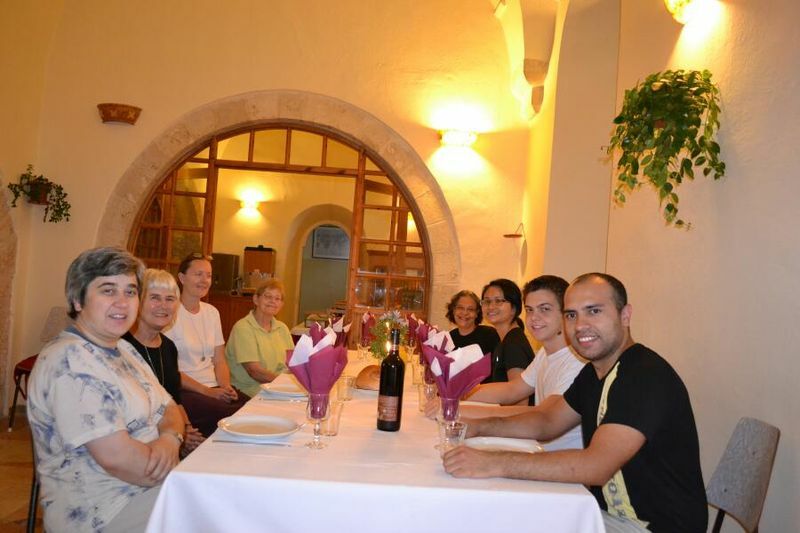 And now, since November 2009 with the arrival of a community of Religious Brothers of Our Lady of Sion, our house of Sion is “complete” in living the Congregation’s charism, especially through the ministry of hospitality. Ever since Father Marie introduced Sion to Ein Karem, generations of sisters have been faithful to the vocation of this village, which is marked by the birth of John the Baptist and Mary’s Visitation to Elizabeth; our house takes part in this rich continuity. 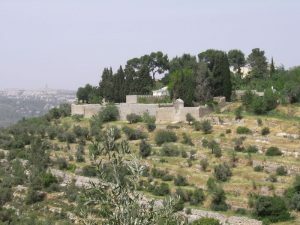 After beginning as a school and an orphanage for the Arab population, the house became a guest house in 1948 and above all after the Six-Day War in 1967. The great majority of our guests come from modern Israeli society with its naturalness, its direct language, its insatiable curiosity. These are marvelous opportunities for encounters, which always end with something essential. The people who come are meditation groups, various associations of physicians, psychologists, teachers, Israeli tourists, families celebrating feasts, anniversaries, etc., as well as young couples, retired people, individuals who are writing books. 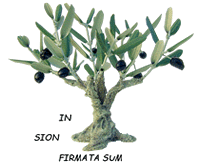 When the opportunity presents itself, we also welcome Palestinians and Israeli Arabs, and sometimes groups come who are involved in working for peace and are made up of Jews and Arabs. Our house is in a Jewish village where the church of Saint John the Baptist acts as the parish. 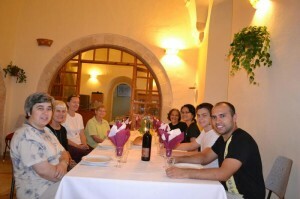 There, we come together several times a week for Mass, and we meet the various religious communities of Ein Karem. We form a kind of family that reflects the Christian minority in the country (in the village, the only Christians are the religious communities). Ever since Sion’s beginnings in this village, the sisters have been close to the local population, which was first of all Arab before 1948 and then a Jewish population: at first old Yemenite and Moroccan women, and more recently a population of artists and people who love nature. Based on this rich past, our project belongs within this tradition of openness. We want to give God the necessary creative space always to create something new through us. Together, brothers and sisters, associates, friends of Sion, we would like this house to reflect our charism as a Congregation through everything that we live here: our choice of cultural activities, the priorities we discern for our hospitality, the presence of “volunteers”, formation, prayer, and the place given to study in our communities. May the transition of this house become in itself a formative experience.